This is an awesome place to enjoy your leisure hours with your family and friends. You will be pleased with all the collections of stores here. There is a famous cat stall here. It is a great resting arena in Burnely that allows you to enjoy your lunch away from the busy streets. You will get almost everything here starting from fashion products to daily needs. There are lots of eateries and cafes here at certain intervals. With all the famous collections, this is the go-to location for the people of this area. A big food hall is being created here to accommodate all the visitors under a single roof. Want to plan a DIY trip? 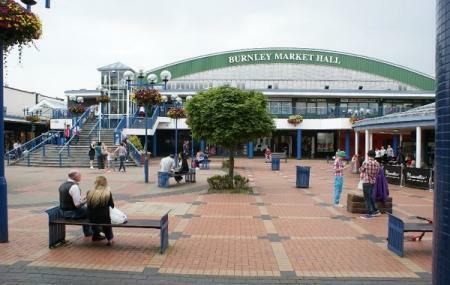 Use Burnley trip planner for the same. Fine Accommodation options like Sparth House Hotel, Norwood and Inn At The Station will meet your requirement of where to stay in Burnley. Explore the best Burnley vacation packages that will take to you important landmarks of the city! For getting in, check out how to reach Burnley. So sad to see how this market has been neglected by the people entrusted to keep it running. The market traders can only earn a living if people visit the market and very few people are doing that as more and more traders leave. The people responsible for the market still get paid regardless........perhaps they should be on performance related pay! This is not a thriving bustling market. It feels like a concrete bunker in a third world country. There are more empty stalls than occupied ones and many occupied units are full of identical cheap trash. I have seen more interesting and better quality items in a box of crackers. If youre researching late 70's communist bloc shopping experiences.. Look no further. A good sized indoor market. Plenty of Independent stalls selling a good range of products. Very good access to all, a lift is available for wheelchair access. Food and refreshments available and toilets. A carpark is available too. Not much in the market now a days. Think it's turning into a food hall which is fine . There's lots of different varieties to choose from. Outdoor Market now closed. After 800 years. High rents I moved off after refurbishment. Indoor market still surviving. Now Major rebuilding works. Should improve the Town.